The Commission’s report covers 19 printed foolscap pages, and is made to his Excellency the Governor-General. The whole of the numerous written statements made and signed by survivors from the captured ships after they reached New Zealand were examined by the Commission, and, in addition, 34 of the survivors appeared before the Commission. Fifty-nine other witnesses also came before the Commission, these witnesses including senior officers of the Navy, Army, and Air Force, the Police, Post and Telegraph Department, Censorship Department, Railway Department, External Marketing Department, and the Broadcasting Services. “In short,” the report states, “wherever our own knowledge or communications from members of the public have suggested to us that what is done or neglected in any particular matter might lead to the enemy possessing information about the movements of shipping, we have used our powers to discover by sworn evidence what precisely is happening as to such matters.” Reference is also made to help received from private citizens. The Commission deals first with the loss of the Holmwood, 247 tons net, which left Waitangi, in the Chatham Islands, at 2.30 am on November 25, 1940, bound for Lyttelton, carrying a cargo, which included live sheep. At 8 a.m. that day she was overtaken and stopped by three German raiders. Of these, the ship known as the Manyo Maru made the closest approach to the Holmwood, and actually stopped her. This ship showed Japanese colours until she was quite close. What colours, if any, the other ships showed, the Commission says, does not appear to have been observed, and may not have been observable. The Commission comes to the conclusion that each of the three ships must have been visible when it was substantially more than 5 1/2 miles from the Holmwood, and must have been visibly overtaking the Holmwood for a considerable time before the Holmwood was stopped at 8 am. The Holmwood had wireless, but made no attempt to use it. The evidence, in the Commission’s opinion, did not warrant any definite conclusion as to whether any raider fired any shot. wireless messages as to the Holmwood which had passed between the Chatham Islands and the mainland, and that they manifested an accurate knowledge of the contents of some of these messages. This, however, did not finally establish that the capture of the Holmwood was designed. “1. A number of radio messages passed between New Zealand and the Chathams in clear uncoded language which, if they were intercepted, must have assisted the enemy to knowledge of the intended movements of the Holmwood. The practice, both in New Zealand and at the Chathams, appears to have been to code messages which actually mentioned a ship’s name or a sailing date, but to send in clear language other messages from which fairly accurate knowledge of an intended sailing date could be inferred. “2. The master of the Holmwood and the Lyttelton agent of the owners used a private code word ‘Confirming’ which meant ‘Have arrived.’ This was a dangerous practice and was contrary to the regulations. “3. Some time before the final voyage of the Holmwood some unrecorded conversation in Morse took place by wireless between Mr McMahon and a wireless operator in New Zealand relative to the furniture of the officer who was shortly to relieve McMahon. This unrecorded conversation may have included some reference to probable future sailing dates. In our opinion, any use of wireless in wartime of which no official record is kept is dangerous, and stringent precautions should be taken that nothing of this kind recurs. There is no ground for thinking that this particular conversation aided the raiders, but we are concerned to condemn the occurrence as one which should not have happened, and should not happen again. “4. 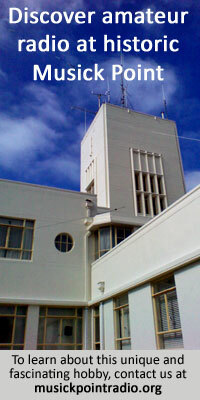 The nature of the then recent wireless messages to and from the Chathams was investigated by the naval authorities after, and in consequence of, the loss of the Holmwood; and on January 9, 1941, consequent upon representations made by them, it was decided that in future all wireless messages to and from the Chathams be in code. In our opinion, the continuance of this precaution during wartime is absolutely necessary, and there should be no relaxation of it or exception to it during the duration of the war. “5. The fact that the Germans questioned Captain Miller and McMahon as to the meaning of a coded message from the Chathams on November 25 appears to settle that the code in use at the time of the loss of the Holmwood, where code was used at all, had not then been compromised. “6. But if it is the practice to send the text of all wireless messages back to New Zealand by regular mail service, and if this record gives the clear language of messages sent in code, we think such a practice dangerous and undesirable. If a raider captures the clear language of messages he had already intercepted in code, he may be provided with the key to the code. In any event, and as a further precautionary measure, all codes used should be changed from time to time. The report then deals with the evidence relating to the fact that no attempt was made to use the wireless apparatus on the Holmwood. In common with other masters, the report states, Captain Miller had received a series of Admiralty instructions as to the sending of a wireless message relative to suspicious ships. The Commission holds that the evidence establishes that the Holmwood stopped at 8 am, by which time the nearest raider was not more than one mile away, and that, having regard to the weather conditions and consequent visibility, the raider should have been seen from the Holmwood’s bridge when it was 10 miles from the Holmwood. Further, the Commission finds that at least 45 minutes would elapse before the raider could reduce a distance of 10 miles to a distance of one mile, and, that in its opinion this minimum period of 45 minutes which must have elapsed was more than sufficient for discovering the vessel, for suspecting the vessel, and for sending a wireless message. 2. It was consequently the duty of every ship, both to itself and other shipping, to maintain in every direction continuous lookout with the utmost vigilance so as to ensure that it would discover any other ship as soon as it became visible; and 3. This duty was paramount and overrode all peacetime practices and considerations of mere convenience. The evidence showed that Mr Walsh, national president of the Federated Seamen’s Union, agreed that such a duty existed, and that its performance was feasible. It was plain that the second officer did not call the captain as soon as he saw the ship. In the Commission’s opinion, he should have done so, and his failure to do so increased the captain’s difficulties. Nevertheless the Commission expresses the opinion that the captain had ample time to realise that the wireless message should be sent, and to attempt to send it. 1. It is not established that the set could not reach New Zealand. On the contrary, the weight of evidence is distinctly against that view, and suggests that any difficulty experienced with the set in pre-wartime was due to faulty manipulation. It had been passed by the Post and Telegraph Department as recently as June, 1940. 2. Even if the set could not reach New Zealand, or if Captain Miller thought it could not, he could not be sure that a message might not reach some other ship. 3. If he thought his set insufficient to reach New Zealand, he should not have been travelling with it without complaint to his owners. And he had made no such complaint. The report at this point mentions the gazetting after the sitting of the Commission began of the Shipping Radio Emergency Regulations, 1941, one of the objects of which appeared to be to provide, so far as was reasonably possible in each particular case, for the carriage of a wireless operator or operators who would be free from other duties. How far it would be found possible to go in this direction, the Commission comments, must depend on the supply of operators available. Even under the new regulations it might sometimes prove difficult to avoid a situation in which the captain or some officer was the only wireless operator. LOSS OF SHIP AND LIVES IRRELEVANT. The Commission states that it is fully aware that any attempt to send a message would have brought about the shelling of the Holmwood, and that this might have meant heavy loss of life, including the lives of women and children. “But,” the Commission adds, “having regard to the methods of warfare with which we are faced, that consideration is irrelevant. Loss of civilian lives must be faced in an effort to locate and destroy raiders. This should be realised by persons who travel by sea, and by the parents of children who travel by sea; and, lest the cool, prompt judgment of masters be hampered at critical moments, there should, we suggest, be no unnecessary passenger traffic.